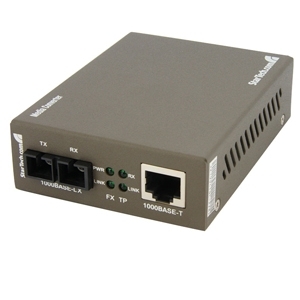 Use the Startech Ethernet Media Converter for steady connection to remote locations. This converter comes with 1000 Mbps(1 Gbps) of Ethernet speed for a power packed performance. It extends the Ethernet network connection over a Multimode fiber backbone using its Ethernet and Fiber Optic connections. Added with 2 ports, you can enhance the connectivity level. 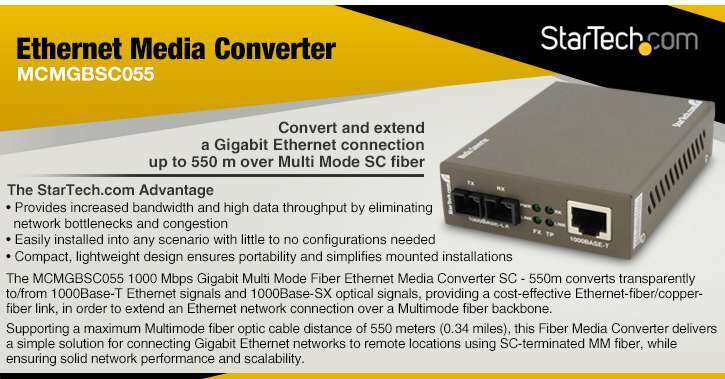 You will find this media converter coming with a maximum Multimode fiber optic cable distance of 550 meters, ensuring easy connections to Gigabit Ethernet networks to remote locations without sacrificing network performance. Buy the Startech Ethernet Media Converter soon!